I am a firm believer that one can never have enough bling. Simple bling. Nothing overstated. 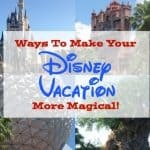 In a few days, my family and I will be headed to Walt Disney World so I can attend the Disney Social Media Moms Celebration. 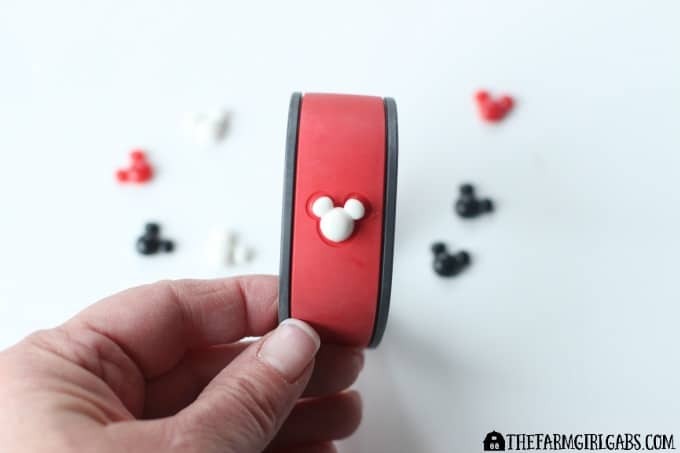 Today, I want to share with you a super simple way to add some pizzazz to your Magic Bands. 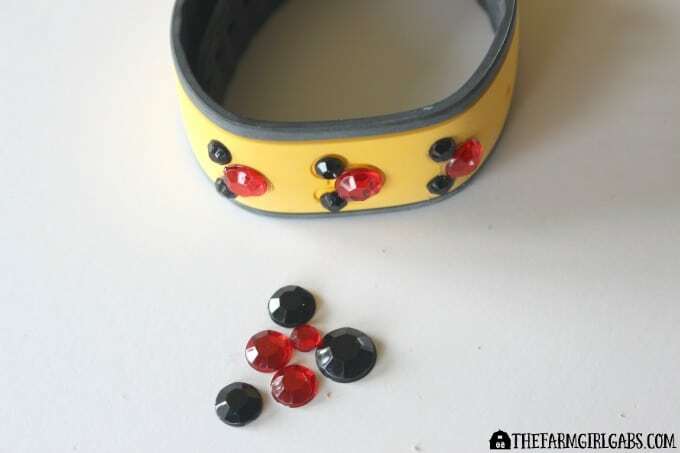 Yep – today I am showing you how easy it is to make these Blinged-Out Magic Bands. If you are staying on a Walt Disney World property, Magic Bands are essentially your keys to the kingdom. They serve as your room key, fast pass+ reservation, dining reservation, and more! Your color choice and any other reservations you make for your stay is done through your My Disney Experience account. This information is linked to your Magic Bands. I like to say it’s via pixie dust but others say it’s because of technology. Since you essentially need to wear them the entire time while you are on property, you might as well jazz them up and add some bling to them! Once you have your supplies in order, be sure to cover your workspace. No one wants glue all over the place. Glue the back of one larger gem and two smaller gems. Place them on your Magic Band to form a Mickey head. Continue all the way around the band. See, I told you it was a simple craft! The cool thing about these is you can accessorize them any way that you like. The gemstone color combinations are endless. It’s all about the bling. Minnie will be so excited to see our bejeweled magic bands when we visit later this week. You can follow along with all the conference fun on my social channels. The official conference hashtag is #DisneySMMC! 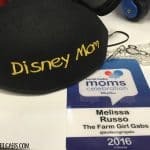 The Disney Social Media Moms celebration is a family oriented professional development conference that will take place March 5 – 8, 2016 at Walt Disney World. Mom and dad social influencers will be given an inside peek at all things Disney and learn a lot about the social media industry. We will also have the opportunity to mix and mingle with fellow influencers from across the country and Canada. The weekend will be a mix of family-oriented and influencer-only events. 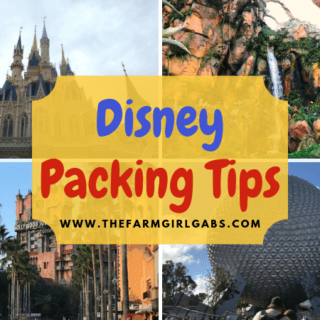 Disclosure: I was invited by Disney to attend the Disney Social Media Moms Celebration at the Walt Disney World Resort in Florida. I did pay a modest conference free to attend. I was not asked to write this post by Disney. As always, opinions 100% are my own. I wish I saw this before I went. I too, can’t get enough bling! 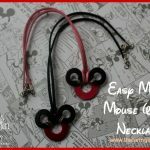 I bought the rhinestone Mickey assessories for the bands for all of my girls going on the trip and they don’t stay on! Very frustrating. You would think they had that perfected. We lost all of them while there! This is less expensive and actually cuter! Thank you for your creative idea. I have all of my supplies and I’m ready to make my band SPARKLE! I am curious though. I see you covered the center Mikey that transmits the singal with the rhinestones. Did that interfere with scanning and the signal?